A new look for Umbro's three silos has been released as we head into the colder months of the year. The Winter Bloom pack gives us a wonderful update on the Medusæ2, Accuro Pro and the Velocita Pro. Using 'winter bloom', coral and white colours across all three of Umbro's premium-performance boots, players are set to give the pitch an eye-catching, vibrant look during the winter months. The usual technology has been used on the boots. The Medusaæ2 combines a no-sew upper with a knitted sock system enhancing comfort and giving a great lock down the foot. 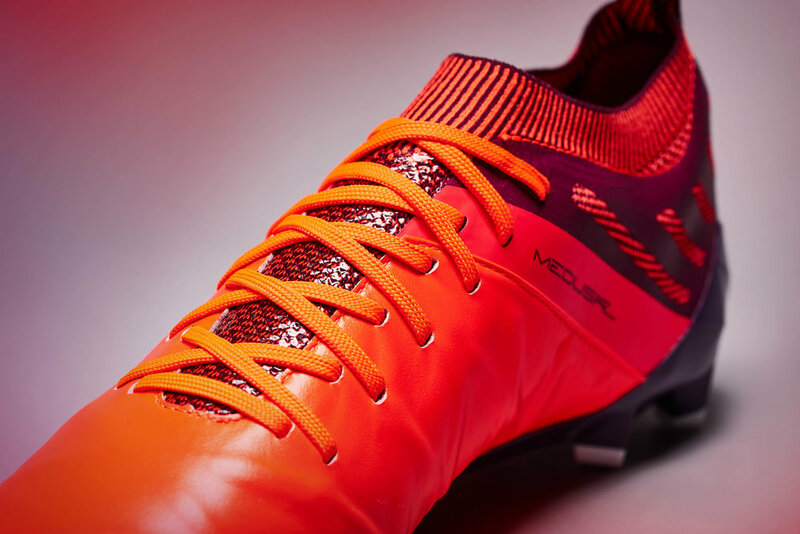 Umbro's speed boot, the Velocita Pro, using a tri-layer construction on the upper partnered with an outsole designed to increase agility and acceleration. The Accuro Pro offers the wearer high levels of comfort due to the unique Pro-Stance outsole. This outsole provides balance and stability. The new Winter Bloom collection is available to purchase here.